Ahead of the opening race of the 2019 Formula One season in Australia on March 17, we take a look at how each team is shaping up for the new campaign. Here, we assess how Red Bull might fare after a big off-season switch to Honda power. The 2018 season promised much for Red Bull as Daniel Ricciardo won two of the first six races, prompting Lewis Hamilton to declare the title battle a three-horse race. But Ricciardo's form fell off a cliff and he rocked the team by announcing his plans to join Renault for 2019 during the mid-season break. Max Verstappen at least found his feet and finished fourth in the seasonal standings, ending the year with five straight podiums - including his second race win of the campaign in Mexico. 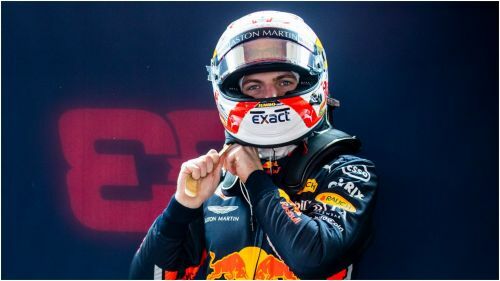 The undoubted star of the Austrian outfit, Verstappen has steadily improved in recent seasons and, with the full support of his team, looks as well placed as any driver on the grid to challenge Hamilton and Sebastian Vettel this year. The Dutchman let his anger boil a little too close to the surface late last season, though. His rage at trailing Ricciardo in Mexico qualifying was topped by an incident which saw him push Esteban Ocon in Brazil. If Verstappen can keep his focus, he is a threat. Gasly never troubled the podium in 26 races for Red Bull's sister team Toro Rosso, but he showed enough last year to earn a promotion following Ricciardo's departure. Although older than Verstappen, the Frenchman will likely back his new team-mate up, barring a flying start to life at one of the sport's elite teams. Performances fluctuated in 2018 and Gasly will now be expected to more consistently deliver results such as that which saw a stunning fourth-placed finish in Bahrain. - Concentrate on matters on the track. With Ricciardo's future up in the air and both the Australian and Verstappen jostling for position as the face of the team, too much of Red Bull's focus was taken by background issues last year. Those problems – including the under-performing Renault engine - should be settled now and it is up to Verstappen to prove he can thrive in a wholly supportive environment. - Challenge the top two. Having two men going hell for leather against one another might have hindered Red Bull previously. Now, as at Mercedes and Ferrari, there is a clear leading light. If Verstappen continues his form of late 2018, there is no reason why he cannot take on Hamilton and Vettel, at least on a race-by-race basis. Verstappen should at the very least be looking to move up a place to third in the drivers' championship standings. If he can cut down on last season's five retirements, Gasly will be looking at a top-10 finish. Without Ricciardo, though, it may be tough for Red Bull to close the gap on Mercedes and Ferrari in the constructors' table.